I am big fan of snail mail so I receive bunch of letters, postcards and packages every week.. I don’t like to read them immediately.. I like to read it when I’ve finished with everything I have to do that day.. I make myself cup of tea, sit in my favorite chair, and start reading how’s life going on with my penpals.. So, my problem is – I don’t have any nice place to put my letters when I receive them, or after I read them. So, I was looking around Pinterest and I found some interesting ideas. Look how great it is.. I can even separate my letters and postcards. It’s so simple and it looks so easy to make! I will have to give my husband important diy assignment for next weekend. This one is bigger and more practical, because I can put bigger packages inside. It also seems like you can make it yourself.. BUT, I am not creative at all and I don’t know how would I make this! Any advice? Look at this! Small mailbox for the house! Cutest thing ever.. I would put this in front of my daughters bedroom and leave her little notes there every single day. I am not sure would she love it or would it be annoying after a while. I don’t have enough place in my apartment to put something like this, but I had to share this with you! It’s such a neat idea! So many nice ideas, and I don’t know how to make any of this! Do you maybe have some simple idea for me? Where to keep my letters before I open them or before I answer to them? And do you like snail mail? When was the last time when you send handwritten letter to someone? 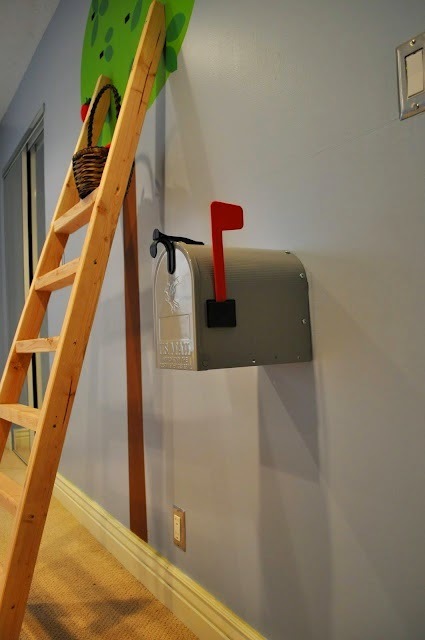 Lots of cute ideas, that indoor mailbox is really awesome! And I like that shutter thing but feel that if I did that, it would look cluttered and not inspired. I honestly keep all my cards in big hat boxes that can be used in a decorative fashion. It's nice to go through them every now and again and works as a great keepsake. What cute ideas! I love the last one. I would love to have something like that. I don't tend to get snail mail though. The only people that write to me are utility companies demanding my money, which isn't pleasant at all. I haven't written a letter for years. I'd love to do it though. The idea of having a pen pal is really nice. You are so well organized; I find life is so much easier this way; great tips to start the week; thanks. The only mail I ever receive is bills and ads. I don't remember the last time I ever received mail that isn't one of those two. Wow. The first one's my favourite for sure. It's so cute I would probably find myself buying it. A home letter box like that would be great if I had the space! This is a great idea! Our mail just gets piled up on the coffee table and it makes it look messy. I need to look into some place cute to put it! i like snail mail, too. the last time i sent a handwritten note? hmm, i sent a whole bunch about 3 months ago, right after my husband + i got married. there were lots and lots of thank yous to be sent! Ooooh I love the vintage one! I have a letter holder too, I love it. 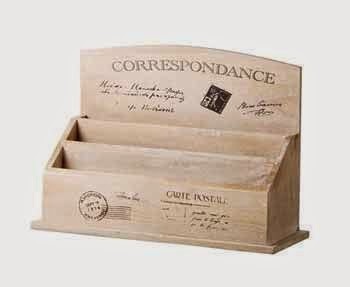 I love snail mail…if it's not bills….and that wooden box is a very cool way to display lovely cards without taking up a bunch of space. Very cool! Such awesome pieces! Thank u notes are about the only things that I have handwritten lately, but that should really change starting today!!! 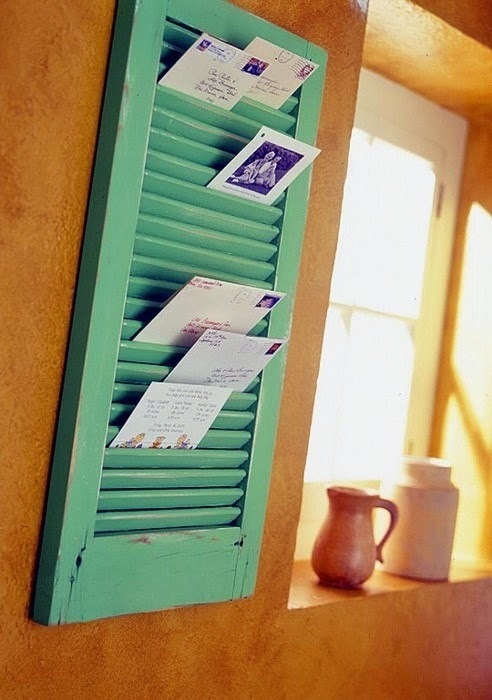 I do like snail mail as well but I have a ton of it all over, these are wonderful ideas! I love pinterest!!! Hvala na posjeti, a tko ne voli primati pisma, i to svaki dan sve više, da ipak vrate malo topline u dušu, i malo otopli Internet, prekrasne ideje, pozdrav. Loredana. Great ideas; unfortunately hand writen letters are soo rare! I love sending and receiving mail 🙂 All the ideas are great! There's nothing better than getting a real piece of mail that isn't a bill! I love sending out stuff during the holidays! Thanks so much for stopping by our little blog and for your kind words! I love mail. All kinds. And am still one of those people that sends out handwritten thank-you notes and Christmas cards. I'm a massive letter fan and always write letters. I love the letter holders here. I just keep mine in a letter holder that is shaped to say the word Mail. It's lovely. I need some serious organization. It's not that I make messes really, it's my husband. I used to have a 3 tier wall hanging mail organizer and I have no idea what happened to it. I'm glad I read your post – I'm going to go dig it up. We just moved 8 weeks ago, so it must still be with the boxes I don't feel like unpacking yet. I've actually been looking to create a place for our incoming mail. These are all good ideas. Love the wire basket. The last photo is such a great idea! I love hand written mail. Always! I love all of the pictures from pintrest. I am seriously in love with all of them! I do write and get handwritten letters often, I never gave much thought to where I put them. 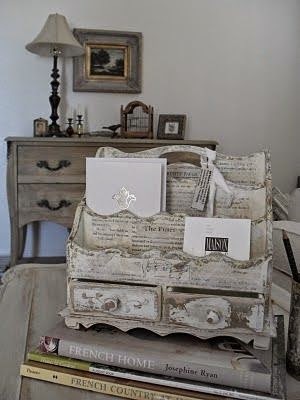 My old letters go into keepsake boxes but that is not practical for every day use.